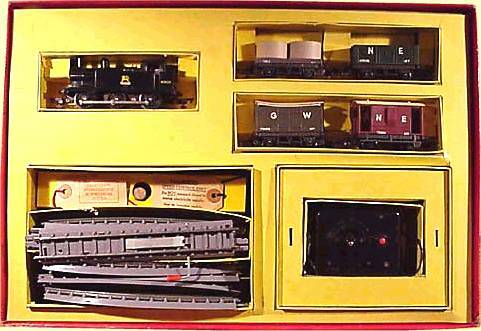 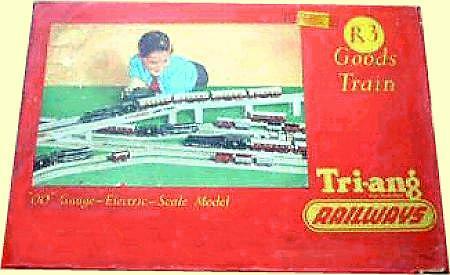 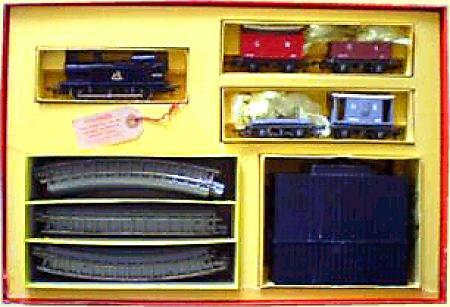 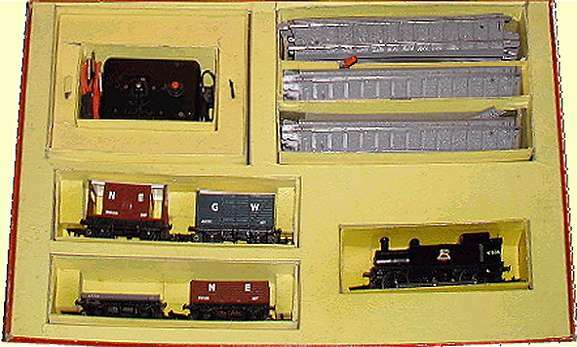 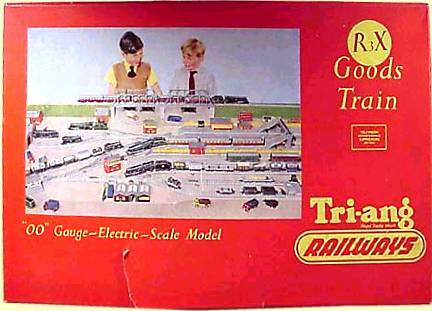 The R3 Goods Train Set was introduced in 1953 and contained a Jinty, four wagons R10 Goods Truck, R 11 Goods Van, R16 Brake Van and R17 Bolster Wagon. 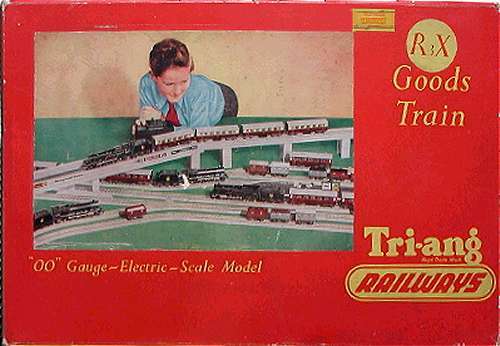 Standard track, 12 curves, 2 straights and a Battery control box. 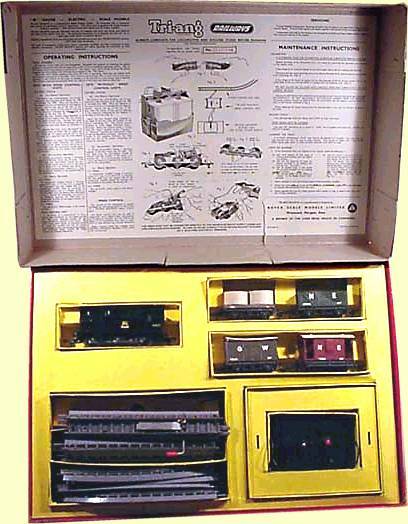 The R3X Set had a R.42 Speed Control Unit instead of the battery box.